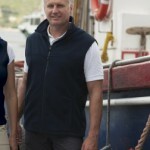 Regatta are a well known brand providing a massive range of fleece options, suitable for leisure and for work. If you need some workwear fleece in various different styles and colours, for your staff uniforms or work outfits, then talk to us! Our wide range will enable you to choose one that is exactly right for your business or your leisure time. 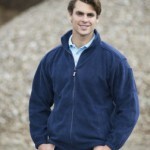 We can produce a perfectly branded custom fleece from any of the basic fleece garments in our catalogue. Our embroidery and printing services can add company branding, your sports club badge or something completely personal and one off as a special gift! Whatever the purpose Stitch & Print can help. The full range leisure and workwear fleeces can be seen in our online brochure. To get a quote, or for more information on our fleeces, either give us a call or contact us via our website. Fleeces are a relatively modern garment in comparison to some of the others we stock, such as t-shirts and blouses. Thick garments or many layers have been traditionally used to keep warm, often made of wool or cotton. The next big leap forward in warm wear came from the outdoor adventure world. In 1981 the Polartec fleece was invented, as a result of climber’s venturing out on high peaks! They desperately need warm clothing that didn’t hold onto moisture from sweat or bad weather. This ability to dry quickly had a profound effect; changing the way we dress in cold weather for ever: across a great swathe of human leisure and commercial activity. Fleece is soft, very lightweight, quick to dry, and most importantly it provides twice the insulation of merino wool and even more compared to cotton. For this reason fleeces are now widely used by explorers, athletes, military and in the workplace. Time Magazine even named the original Polartec fleece ‘One of the hundred greatest things of the 20th century’. The range of fleeces at Stitch & Print is so wide that you can be sure you’ll find the right one for your business. There’s a range of outdoor fleece in a wide range of colours & sizes. The Regatta “Thor” fleece & the Result “Polartherm” are ideal for everyday use. if you need an embroidered fleece to carry your branding, they are a perfect starting point! RTY Workwear have a range of workwear fleece designed specifically for commercial and industrial environments. They come in a standard range of colours as well as high-vis options. Regatta also have the “Asgard” lined fleece for added protection in cold weather. For team wear & club wear we stock a range of fleece in contrast colourways which are ideal for reinforcement of your clubs image. Part of this range, the Gamegear Formula Racing range is aimed specifically at the Motor Sports market and their colourways are designed around that. The Many Styles of the Working Fleece! We have already touched on some of the great fleeces stocked by Stitch & Print, but we have plenty more styles & design options available. As well as full zip fleece versions, many of the styles come in half zip options as well. Zip neck versions are great in micro fleece options where are required for layering up for a day in the cold rather than working on the convenience of the quick on & off of a full zip option. We have open cuff as well as elasticated cuff options which help keep the heat in, making these fleece even more suitable for those colder days! 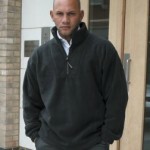 Another variant on the standard style of workwear fleece is the reversible fleece jacket. This clever addition to the family offers one side in a standard fleece but the other is a super practical waterproof coating. A perfect garment for creating your business’ own custom fleece for your staff to cope comfortably with the changeable days we have in the UK. Added in to all of these options are fleece bodywarmers, in a range of standard colours and also an enhanced visibility option. Like the wider range of fleece these are available in both unisex & ladies specific fit options. Big UK Fleece Brands, Need Cumbria’s Most Expert Customisation – Call Us! The Stitch & Print fleece range includes big brand names such as Regatta, Fruit of the Loom, Result, Premier and Craghoppers, to name a few. We pride ourselves on stocking a range of quality products, so that you are left feeling happy with your order. Our team of in-house experts are ready and waiting to create your custom embroidered fleece to the high standards we know you expect. This entry was posted in Fleece, Workwear and tagged Cumbria, embroidered, fleece, North West, workwear on 3rd December 2014 by admin.